Peter Albrecht has been motivated by driving innovation and creating IP, with the primary goal of improving patient care through outstanding medical device technologies. His career path has included CEO of Inflow Dynamics, a startup company in the medtech field, in Germany. 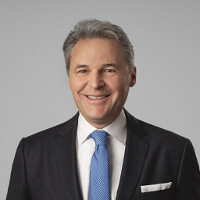 In 2010 he became head of Boston Scientific’s Corporate Research & Technology group in Europe. In 2015 he joined Mölnlycke Healthcare in Gothenburg, Sweden as global vice president of innovation & clinical research. In June 2016 he was appointed global vice president R&D treatment franchise and all R&D shared services.